It has been some time, but the "Stuff you find on Florida roads" feature is back. 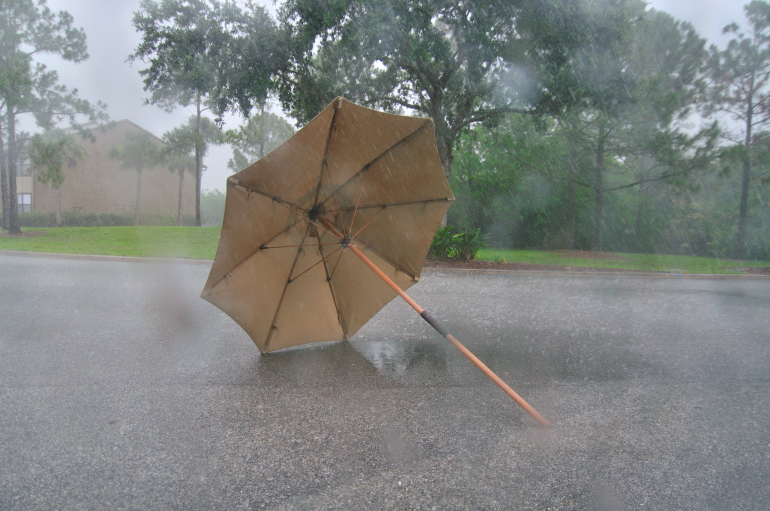 Returning from an errand during a thunderstorm Thursday, I turned into the driveway of my apartment complex and almost got nailed by an umbrella. The storm was packing some strong straight-line winds, blowing the umbrella from a common area at the complex and into my path.